We’re delighted to be working with Vinny Peculiar once again! 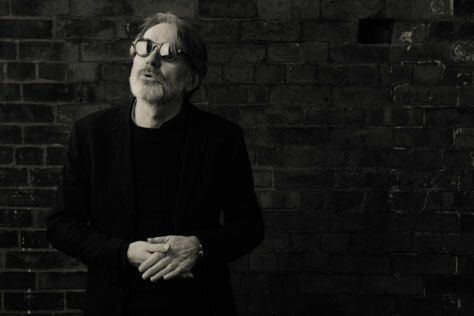 Musician and poet Vinny Peculiar (aka Alan Wilkes) has been variously described as ‘an under sung national treasure’, ‘a warm-hearted Morrissey’ and ‘the missing link between Jarvis Cocker and Roger McGough’. He’s released eleven albums of outsider pop music to great critical acclaim. A new ‘concept’ album, Silver Meadows, came out in May on Fables from the Institution, and is currently in development as a musical stage play. Peculiar has collaborated with Bill Drummond (KLF, SOUP ART), and his various bands have included ex members of The Smiths, Oasis, Aztec Camera and The Fall. Live shows have garnered comparisons to Eels, John Cooper Clarke and the more pastoral elements of The Kinks. He’s opened for British Sea Power, Edwyn Collins and Luke Haines among others, and is a former compere on the Glastonbury Acoustic Stage. Main support comes from Reid Anderson, a singer-songwriter from Liverpool. He writes dark, mesmerising, sweeping sounds; lyrical vessels, reminiscent of sea shanties, traveller’s songs and folk myth. Imagine The Wicker Man soundtrack written by Nick Cave, or an episode of The Twilight Zone soundtracked by Leonard Cohen and Johnny Cash. Opening the show is James Holt, a singer/songwriter from Manchester. James has been supported/recommended by the likes of Brian Eno, KCRW, BBC Introducing, BBC Radio 2 (Dermot O’Leary), BBC 6 Music, This Feeling and Manchester Evening News. His latest EP, Sanguine On the Rocks, was released in April this year.